In order to have great dental hygiene it is very important to understand that proper dental care must incorporate a holistic approach that includes not only cleaning, but supplementation, diet, and overall health maintenance. You need to consider both external and internal support for healthy gums and teeth. The benefits are far-reaching, beyond your mouth. Usually there are certain signs of a healthy mouth. Healthy gums will be a pink color and will have a knife-like shape that contours between the teeth. The teeth should be relatively white without heavy deposits of plaque and tartar. Furthermore, a person with good dental health will not have chronic bad breath, which is also called halitosis. Cavities – holes in the teeth caused by bacteria. Bad breath – This is often a sign of the presence of bacteria that are at work in your gum and teeth. It is a common sign of periodontal gum disease at any stage. Gingivitis – the first stage of gum disease wherein there is red, swollen and tender inflamed gums. Often there is bleeding after brushing or flossing. Periodontitis – this is an advanced stage of periodontal disease wherein the supporting bone structure is corroded away and receding gums are present. Periodontal pockets are usually visible between the teeth. Often dental surgery is required. Loose or missing teeth – This is often present during the periodontitis stage, but it is a common occurrence, together with the present of periodontal pockets. Many people often need dentures as a result of a life of poor dental hygiene. At times it is difficult to determine the root cause of the disease of the mouth. Often there is a combination of things that one must factor in to the overall oral care plan. Addressing each one at a time will slowly enable one to deal with contributing factors. Smoking: Tobacco use, including chewing, stains the teeth. However, it has been suggested that the nicotine may inhibit blood flow to gingival tissue. Furthermore, there is risk of oral cancer from the prolonged use of tobacco. Drug Use: Prescription drugs, as well as illegal drugs, can have a gradual impact on your dental health. Usually they lead to a decrease in protective saliva, which in term leads to tooth decay and gum erosion. Some drugs are acidic and can wear away at the tooth enamel. Heredity: For a few people, there may be hereditary conditions that make one vulnerable to dental challenges. It is important to be aware of diseases and dispositions that may be present in your family. if your parents or a sibling have periodontal disease, inquire more. Diabetes: This disease slows blood flow, therefore, infections may be more difficult to control. Also more glucose in the saliva may contribute to the problem. White blood cells are impaired from fighting bacteria present in the mouth. Let your dentist know if you have diabetes. Hormones: According to the American Dental Association (ADA), fluctuations in hormonal levels in women can lead to a great susceptibility of gingivitis. Therefore, women at puberty, pregnancy, perimenopause, and menopause should take this into consideration. Injury: At times there is an external force that has causes a cut or loose tooth. One who is active in sports may experience an injury that, if unchecked, may develop into a more serious problem. For example, contact sports may lead to an uneven jaw or a loose tooth. This is why protective gear is so important. Sometimes food can actually cause injury or infection. If one bites into a corn chip the wrong way it can pierce into the gum tissue. Dry Mouth (Xerostomia): This condition is marked by the absence of enough saliva in the mouth. Saliva is important in controlling and regulating bacteria and the toxins that they produce. When saliva is not present, toxins from bacteria continue to destroy gum tissue, teeth, and support bone structure. Smoking, diet, hormones, and drugs are all factors that may contribute to dry mouth. Compromised Immune System: A low immune response means that your body is not able to keep up with the demands on it, particularly with controlling bacteria that are present in your teeth and gum line. People with AIDS or those undergoing cancer treatments should give attention to their dental health. For those who are otherwise healthy, you should not underestimate the power of regenerative sleep. Bacteria: Bacteria are naturally present in the mouth. However, for a number of reasons (any of the above and more) it may not be properly controlled. The bacteria produce toxins that literally eat away at bone and gum tissue. Bacteria are usually the root cause of chronic bad breath. Poor Oral Hygiene Habits: You need to control the bacteria and keep your mouth debris free, particularly in the hard-to-reach areas of the mouth. A lack of brushing and flossing properly, combined with no visits to the dentist will only contribute to your problems. Every day you need to develop good habits that will mitigate the effects of bacteria and infection in your mouth. The following are common sense practices that you should follow on a daily basis. Brush your teeth: Brushing your teeth is important after every meal; however, “how” you do it is equally important. You should brush in a circular up-and-down motion using some type of toothpaste or cleaning solution. Too much can be counterproductive and destructive. If you brush too hard or too much you can actually wear away gum tissue and the enamel of the teeth. Type of toothbrush: Use a soft-bristled brush. Brushing with a medium or hard-bristled brush can be too much for your teeth enamel and gum line. An ultrasonic toothbrush is another popular option. These are particularly helpful if you have a disability. Floss daily: Most people floss the teeth. It is important to floss at least once per day, preferably at the end of the day. Flossing regularly helps to scrape away plaque and tartar, and food particles lodged in the crevices between teeth. Ask your hygienist or dentist to show you how to floss properly. You need to insert the floss between the gum line until it reaches the root and then you need to scrap away plaque in a c-shaped motion. Toothpicks and certain dental picks and brushes can be used to do the same thing. Clean your tongue: The tongue hosts bacteria and yeast. Be sure to use a scraper to scrape away the crud from your tongue. It can be a source of bad breath. Mouthwash: Be careful with mouthwash, since most contain chemicals that can be harsh to already sensitive gum tissue. A healthy and safe alternative to store-bought mouthwash might be clean water mixed with a few drops of essential oils such as spearmint and peppermint, which have antibacterial properties. You want to use something that kills bacteria while not further disruption an already sensitive environment. Chewing Gum: Chewing gum may help saliva to flow and may help clear away debris; however, caution must be exercised here as well. Usually high amounts of sugar or artificial sweeteners are used to enhance the flavor. The negative effects of these outweigh the benefits. There may be some exceptions available on the market. Toothpaste: Use toothpaste that will help prevent gingivitis by controlling bacteria growth while at the same time allowing the body to restore gum tissue. Many toothpaste products include chemical ingredients that may counterproductive for an already sensitive mouth environment. Warning! Give attention to toothpaste ingredients: The following are ingredients that have been questioned for their safety at one time or another: hydrated Silica, FD&C Blue Dye # 1 & 2, Sodium Lauryl Sulfate (SLS), Propylene Glycol, Sodium Fluoride, and Triclosan. Look for a dental hygiene product that does not contain these ingredients. Some people may be more sensitive than others to these ingredients or even natural ingredients. A natural liquid toothpaste that contains oils of spearmint, peppermint, and almond may be an effective solution. This combination is very effective at the one thing you must have in a successful receding gums treatment – it kills and controls bacteria. Find out more. It is important to realize that your body might new internal support to fight bacteria and underlining health vulnerabilities. Prevention is always better than treatment. Make sure to speak with your dentist about any supplements that you might take on a daily basis. As a general rule, think A,B, Cs. Flavonoids (bioflavonoids) – These are antioxidants, such as quercetin and rutin, that are particularly useful against inflammation and the disease process. Moreover, Vitamin C is much more potent when taken in combination with Vitamin C. There is a synergetic effect. Vitamin C – It is well known that vitamin C is helpful to boost the immune system. 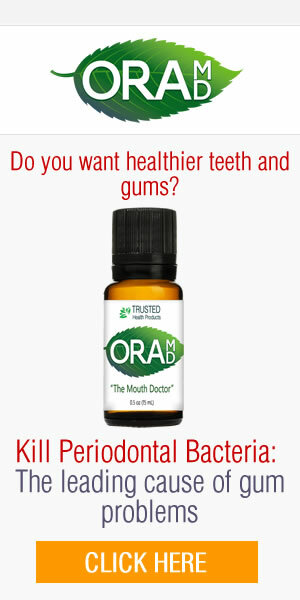 This naturally helps the body to combat and control bacteria in the mouth. However, it also produces collagen, which is found in ligaments, gum tissue, and in fibrous protein that is in the teeth and support bone structure. Eat a balanced diet, not taking in too many sugary or starchy foods. They tend to create an environment in which bacteria flourish and ensuing toxins do further damage to teeth and gum tissue. For better dental care and oral health the key is to have a comprehensive, life approach. Regular dental visits, diet, exercise, sleep, and dental hygiene habits are all part of a successful and responsible oral care plan. Now that you have armed yourself with this information, make changes today. Also invest in quality teeth and gum treatments for daily hygiene cleaning.